Refer a business to us! Yeah, we thought so! And we’re willing to give it to you, but we want a little something in return first. Refer a business to us, and we’ll give you $100! Unlike most of the emails and websites you’ve read which offer you free money, we’re not lying. We’re offering a $100 Prezzy Card to anyone and everyone who refers work to us. So whether that’s a new website, a contract to do some search engine optimisation, or a social media campaign, we’ll give you a $100 Prezzy Card if you refer the work to us and we get the job. Even if it’s for your own business, we’ll still give you a $100 Prezzy Card. And there’s no limit too – refer as many businesses as you want, and if we get the work, you’ll get a card for each one. A website referral must have a quote of $1800 or more accepted to be eligible. A Social Media referral must have either an ongoing fee of at least $250 p/month to be eligible, or a contract fee of $1500 to be eligible. A Search Engine Optimisation (SEO) referral must have an ongoing fee of at least $250 p/month to be eligible. In case of a website referral, you will receive the Prezzy Card once the project is complete, and the invoice paid. In case of a Social Media or SEO referral, you will receive the Prezzy Card once the first month’s invoice has been paid. 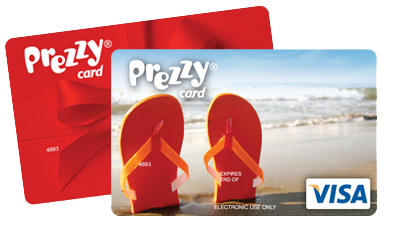 A Prezzy Card will only be given if this deal is mentioned before or during quoting. This deal only applies to referrals given on or after 5 February 2016.